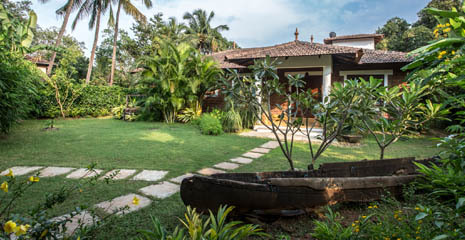 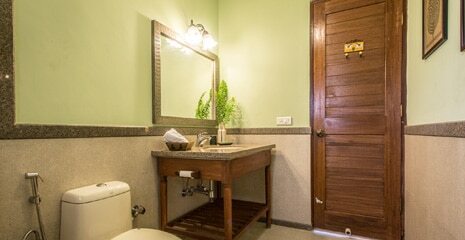 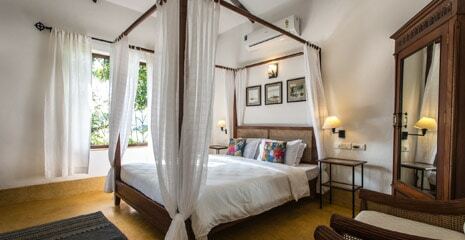 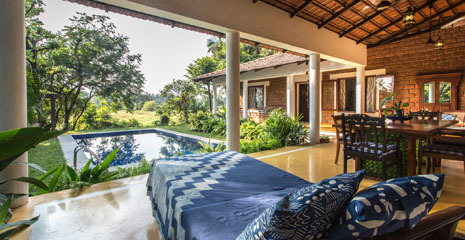 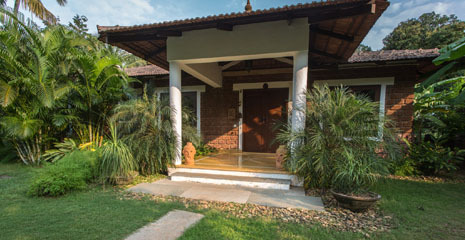 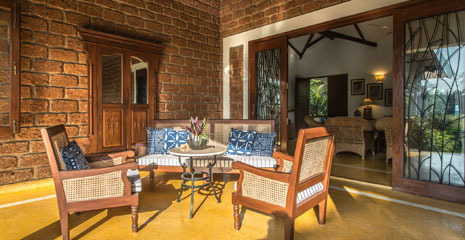 This hidden gem offers views of a quintessential Goan landscape of paddy fields and swaying palm trees. 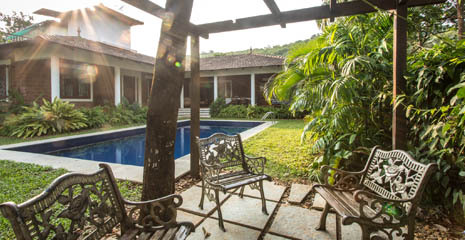 Set in a quiet residential area, the villa is conveniently located. 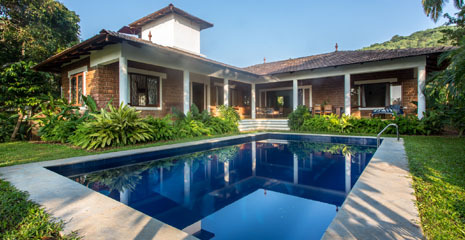 The beaches of Vagator and Anjuna in the north and Baga in the south are a short drive away. 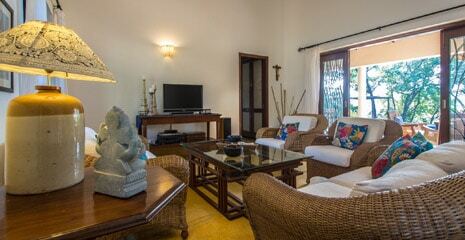 If you are looking for privacy and solitude yet within easy access to beaches and restaurants this villa is perfect. 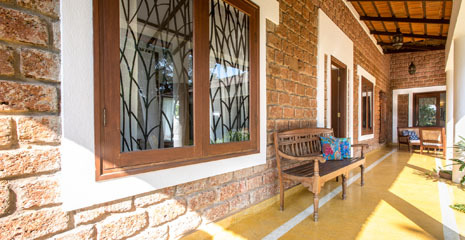 Exposed laterite stone on the exterior is complemented with stucco work on the interior. 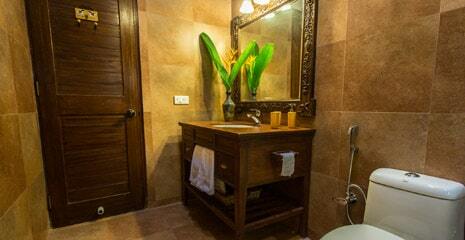 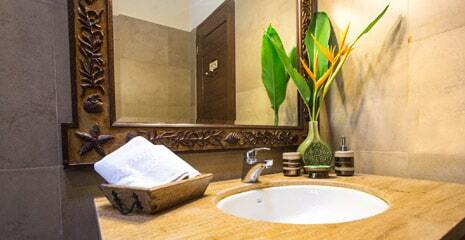 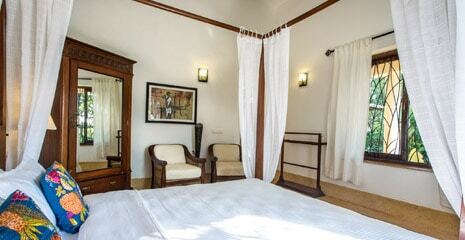 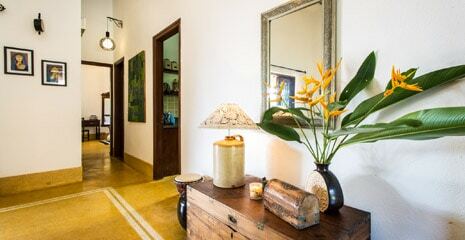 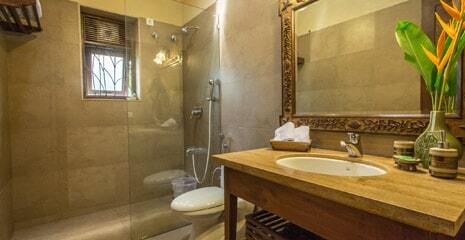 The cosy atmosphere of the villa continues in the warm tones of wooden furniture and soft linen and cotton fabrics. 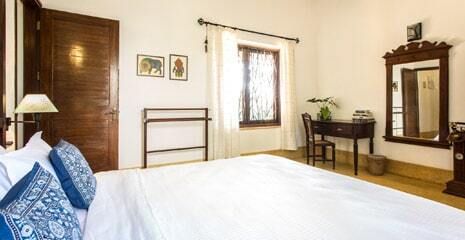 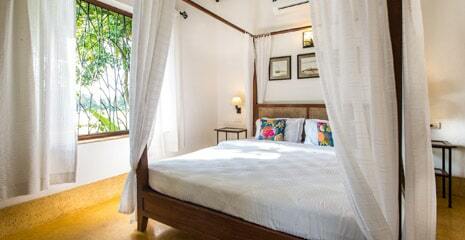 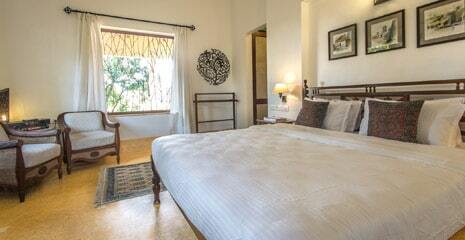 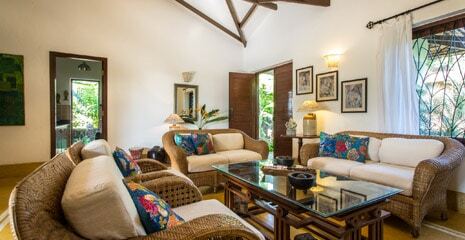 Handloom rugs and block printed cushion covers and bedspreads were chosen to impart a relaxed easy going ambience. 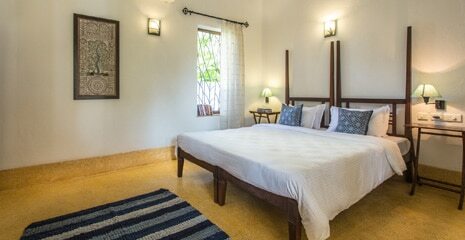 Elements of luxury make a quiet display in the use of mod-cons, kitchen equipment and bathroom fittings for your every comfort. 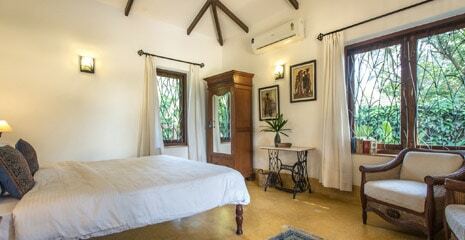 Large windows and French doors open from the living room on to a verandah large. 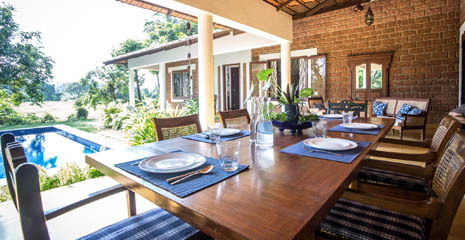 The al fresco dining area overlooks the pool and the paddy fields beyond. 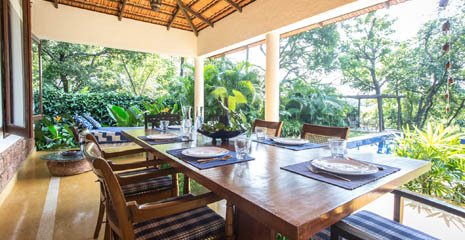 The pergola set on one side of the property is a wonderful place to sit out in the evenings with your sundowners and watch the birds return home to nest.